Is there anyplace smellier than the IND station at Queens Plaza? 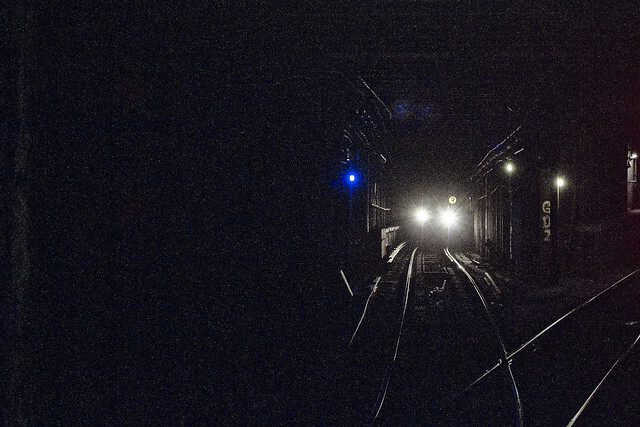 Stumbling home through the dark recently, a humble narrator found himself at Queens Plaza, waiting for the R or M to arrive and carry his stinking carcass back to Astoria. “It seems that I’ve been dead for quite a while, judging by the smell,” thought I. That’s when I realized that it wasn’t the standard “eau d’ jew” which accompanies the end of a period of physical exertion and exercise which I was discerning, rather it was some other reeking horror that was permeating the Subway Platform. At the end of the platform, or at least the side where the last Queens bound subway car arrives, that I found the source of an odor which I can only describe as Satan’s diarrhea. Now remember, I’m the Newtown Creek guy. I hang around Sewer Plants, and open drains which carry liquids whose coloration ranges from olive green to cadmium yellow, and am possessed by fond memories of walking amongst the settling and aeration pits of the DEP. When I say an odor is nose hair curling, will wither away plastic, and describe something as having smelled like the dysentery of the Devil itself – pay attention. I can guess where this water is coming from, but it would only be a guess. 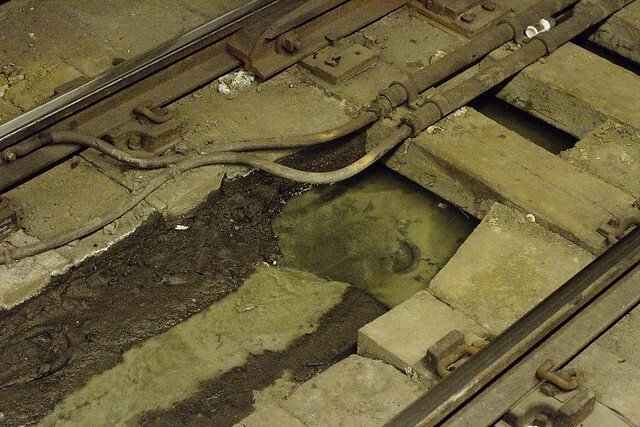 The underground IND Subways in Long Island City are essentially concrete bath tubs which were set into a wetland that was already despoiled by sewage and industrial pollution by the time LIC incorporated in 1870. The subways didn’t come along until the 20th century, of course, but the waterways that flowed through Queens Plaza are still very much present. One of them was the Dutch Kills tributary of Newtown Creek itself, which flowed across what’s now the Sunnyside Yards and was navigable all the way back to 40th avenue at the corner of Northern Blvd./Jackson Avenue. 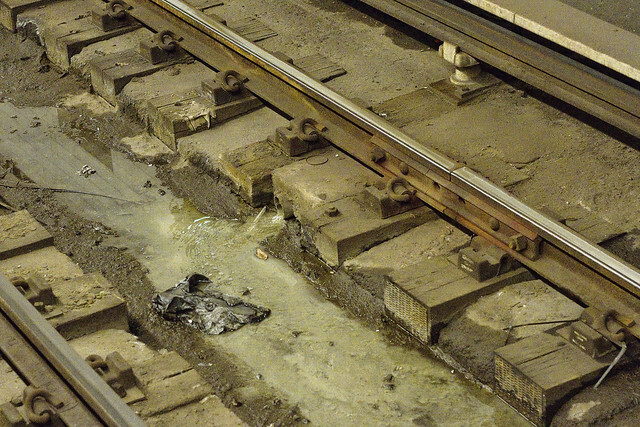 Just ask the East Side Access guys, they drilled right into it. 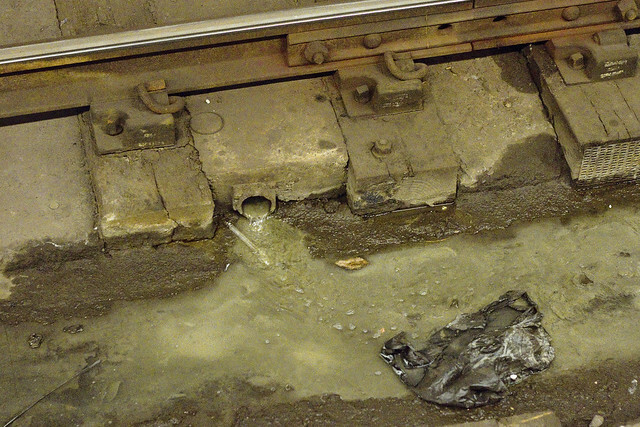 Commuters in Queens who transfer at Queens Plaza, and at the 21st street G station, will tell you about seeing green water spilling out from behind the tile walls and gag a bit trying to describe the smell. In the case of 21st, it’s a different tributary of Newtown Creek – contained into a sewer tunnel – called Jack’s Creek. 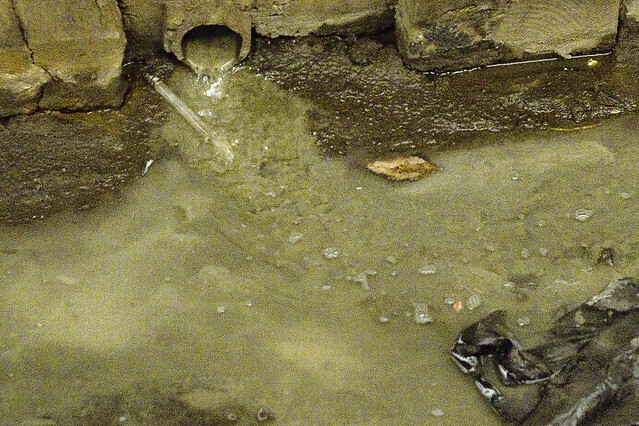 If you see, or smell the phenomena at Queens Plaza – my bet is that it’s Dutch Kills. Can I prove this? No. Call it a hunch, or an educated guess by a guy who spends his time on the shorelines of Dutch Kills’s extant path who can recognize its particular pungency from a half mile away. Good thing photography is not smell-o-vision. Satan’s diarreah, eau d’Jew, BWA HA HA HA HA HA. I love you. Thanks for the laugh—very greatly needed. I agree with Marina: you are my hero.